[tps_footer]Lots of speculations are doing rounds on late television actress Pratyusha Banerjee’s suicide. After questioning boyfriend Rahul Raj Singh for hours and hours, Police has not been able to find out the real reason behind this extreme step taken by Pratyusha but according to family and close friends’ statements a case of abetment, assault and intimidation was registered against boyfriend Rahul Raj Singh. Rahul Raj Singh has been booked under section 306 and section 504 of the Indian Penal Code for abetment of the TV actor’s suicide. 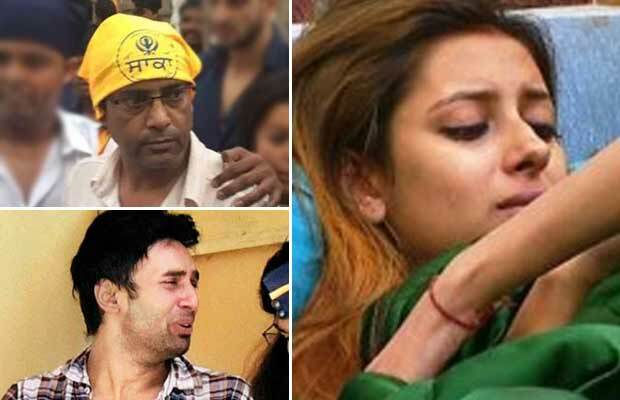 After the prayer meet of their daughter yesterday, Pratyusha Banerjee’s father Shankar Banerjee in his statement said that Rahul Raj Singh should be imprisoned for the rest of his life. Rahul should be either hanged or kept in prison for the rest of his life. He has ruined my daughter’s life, she should get justice,” Shankar Banerjee said to media. “We didn’t come in front of the media all this while because we wanted all the rituals to be done. We have lost our daughter and we have filed an FIR. Whatever problem she had, we have recorded our statement at the police station,” Pratyusha‘s father added. In an interview with a leading daily, Pratyusha’s mother has also revealed that while she used to stay with her daughter and Rahul at their Kandivali flat, they would have lots of fights. She always counseled them to not fight so much and concentrate on their careers. Well, with various statements by close friends and family members, Police will investigate the case once again after Rahul Raj Singh is discharged from the hospital.